I stumbled on this book in July 2011 and I have celebrated this book and that moment ever since. 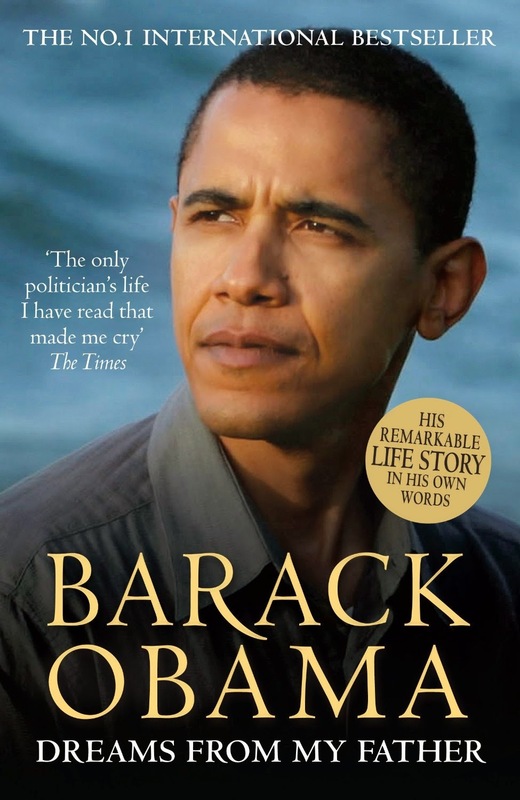 This is a memoir written by the now President of the United States of America Barack Obama. Indeed-I must confess- it is a true breath of fresh air. This work is not too recent but its freshness and aesthetics transcends the times and stunningly goes the distance. The book opens with the status quo of a young man (the author) who is almost choked by the suffocating air of westernization. Suddenly, he receives a distant call from an unknown relative about the death of the one man who gave him life. And who in a special way gave him a life-long reason to lead it, his father Dr. Obama. Its setting darts from Hawaii to the University of Columbia to Indonesia to Chicago to Kenya in Africa. All at various time frames and stages of the life of the author. Like the title suggests- not disappointingly- it is the tacit separation of fear and uncertainty from failure and regret. It is the story of a young black man trying to preserve the authenticity of his identity as a black amongst several whites without being passive to his commitments as a black amongst blacks. The book is a journey of self-discovery and investigation of a subjective precedent and history that has been presented, painted, preserved and protected in several lights yet lacking proof and justification. It is like the mirror magic: no matter how beautiful someone paints her, when you finally behold her she is nothing but a reflection of yourself and your circumstances. The author succeeds in neatly avoiding the restriction and discipline that comes with advancement in age and study to pour out the raw magma of his burning heart. One that flames of his thirst for the truth of whom he is, who others expected him to be, and whom he ought to be. The book draws a clear cut distinction between our lives as individuals with ideals and as citizens of a world that is torn amongst themes of race, love, commitment, selfishness, poverty, socio-economic denials, family, language, custom and dreams. Albeit the case, I am particularly bound to my copy of this book not merely because of its aesthetic value but for its well found impetus in defying convention and telling the truth the way it should be told. Undiluted. Realistic. It is indeed a great piece. I am not too fond of Barack Obama as the President of the United States, but his writing prowess evident in this work tells me he has a soul as free as the wind. Ready to take a friend to the right places. Ready to make the right sacrifices. Ready to go the distance. This book is a must read. Blunt and beautiful as it is also a crystal clear mirror that transcends race, history, belief and aspiration. A mirror in which you might just find you.